Next I travelled south from the east coast to a place called Andong. Having preserved aspects of traditional Korean culture over the past 2,000 years, Andong claims to be the ”Capital City of Korean Spiritual Culture”. However the truth is that Andong’s main claim to fame stems from having been visited by Queen Elizabeth II. When she asked to be taken to the most Korean place in Korea, she was taken to Andong, well not exactly to the city but to Hahoe Village, because the city looks like this. 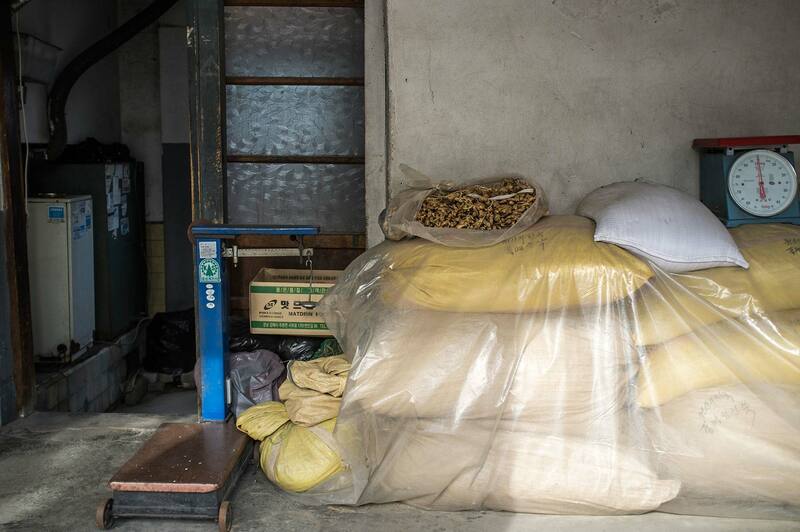 Shop dealer resting on his office floor. 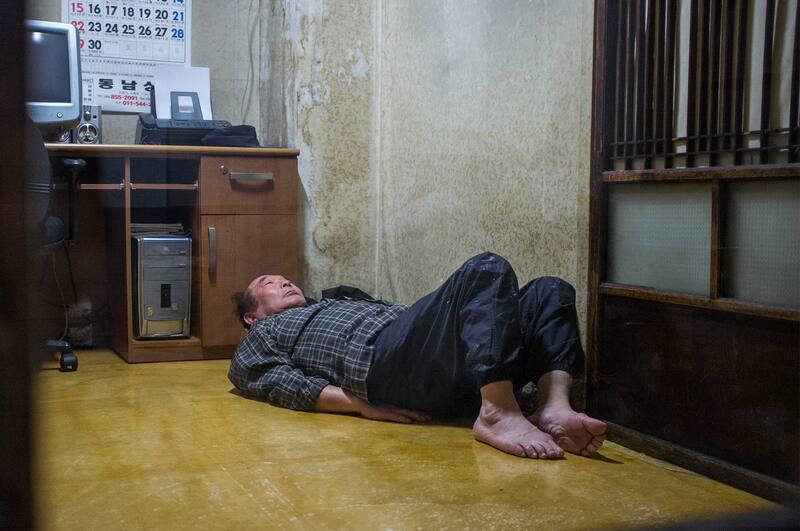 Koreans tend not to use beds so much, and primarily sleep on the floor. They also have what’s called ondol, which is a traditional underfloor heating system which has shaped Korean culture and lifestyle. The heated floor system is far from modern, in fact it has been in existence here for thousands of years and remains to the present day. 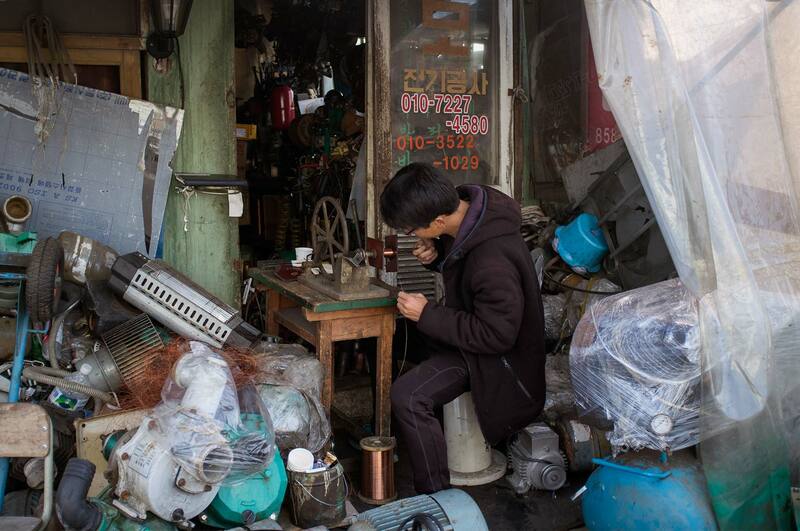 As Koreans sleep and eat on the floor they have to provide sufficient heat. 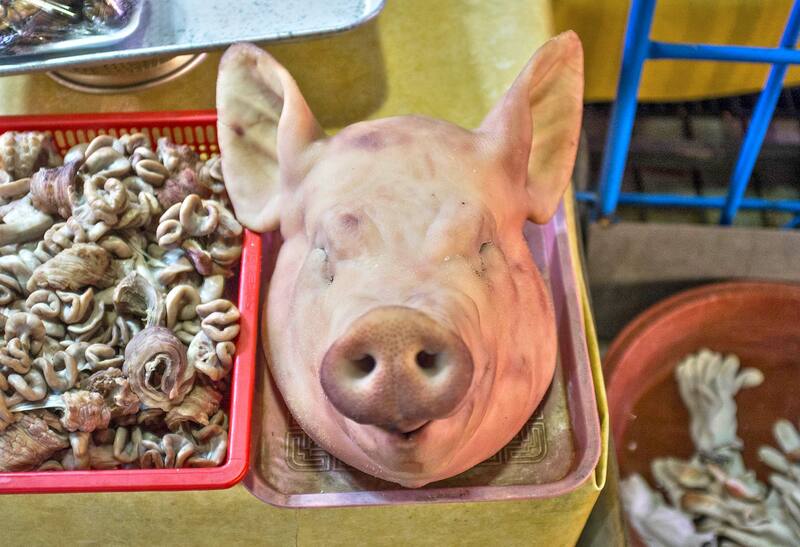 Another interesting thing here is a steamed chicken which is a particular Korean favourite. Andong’s street market is popular for that chicken. Essentially, it’s much healthier than the western style fried chicken as it’s not greasy and deep-fried in oil. 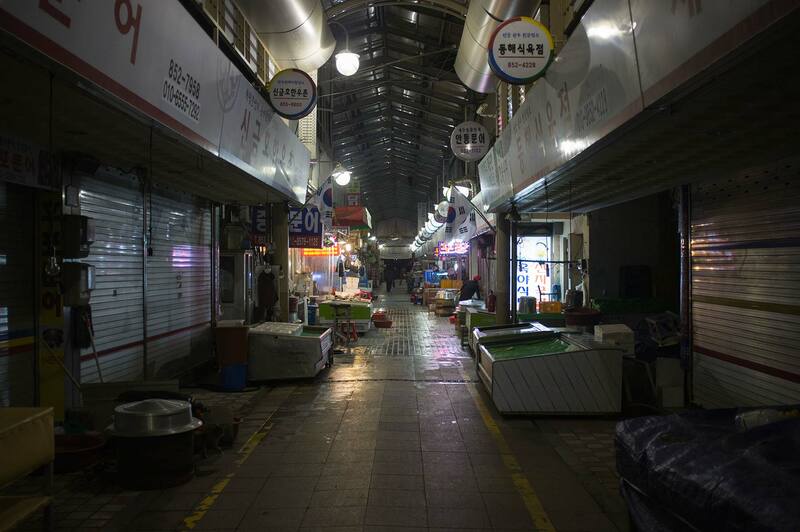 Andong street market in the evening. Here, the navigation signs are written in three languages, Korean (national language), English (international language) and Chinese (most spoken language in the world), something that’s not so widespread in Europe. 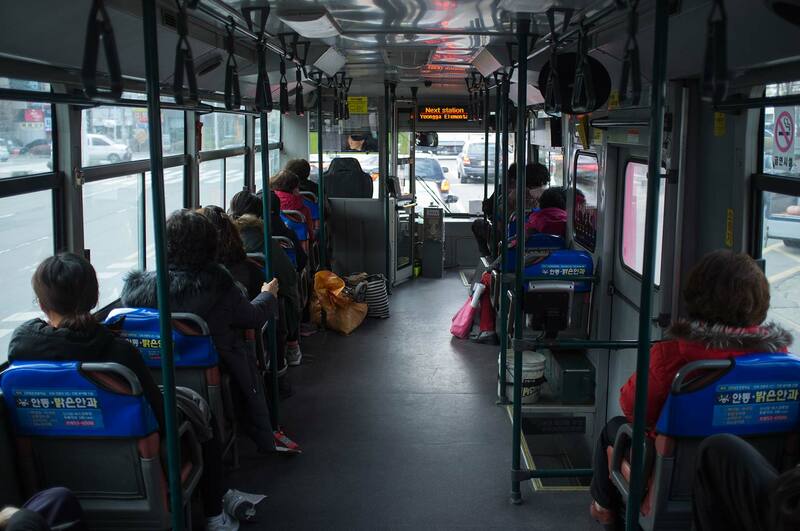 Here are a few other observations: busses here have limited seating, really only enough for those who need it, others have to stand. Interestingly the doors on the busses slide sideways, just like the doors on houses here, which is good since no one gets hit by the door this way. 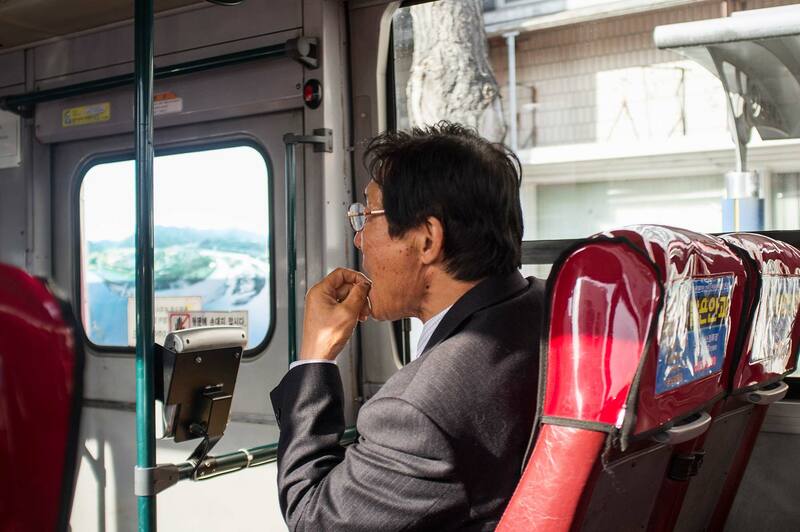 Also, the driver has two mirrors and a glass back panel, this allows him to see passengers clearly and constantly. What can’t be captured in a picture is the music on Korean busses, it sounds very much like traditional folk music, sometimes it’s vocal music and sometimes even audio books are played. Incredible. 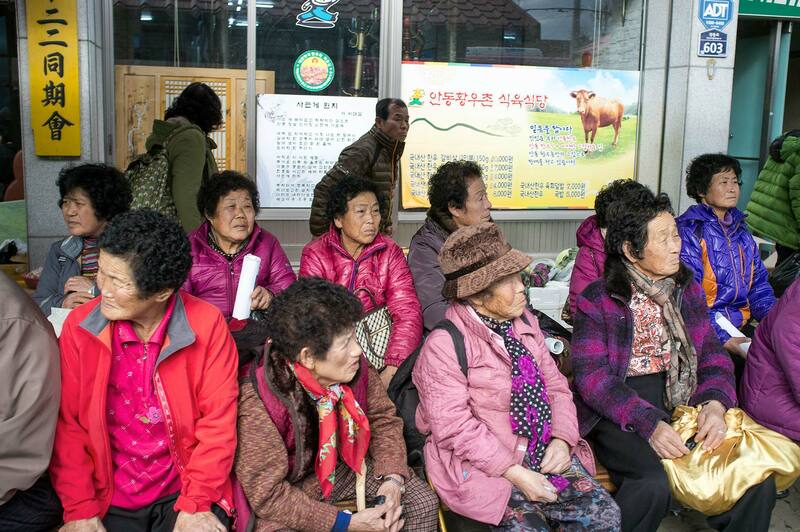 Much of Andong’s community is at death’s door and its population has fallen dramatically since many young people have moved away to Seoul and other urban centres leaving their elders here. Grannies at the bus stop on their way to a special granny convention, dress code is short, dark curly hair and a pink jacket. Only those grannies conforming to the dress code can attend. To leave this post on a positive note, I should also mention the fact that Andong is primarily known for its folk traditions. In a bid to maintain its many ancient traditions, every year in mid-October the Andong Folk Festival takes place. The Andong masks are one of the most famous aspects of these cultural festivities. 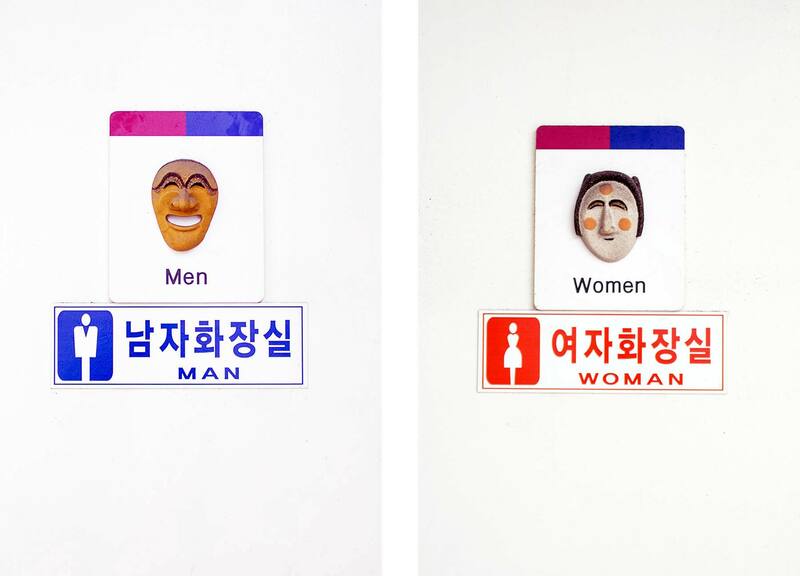 Koreans are pretty proud of these, even placing the masks onto toilet doors.